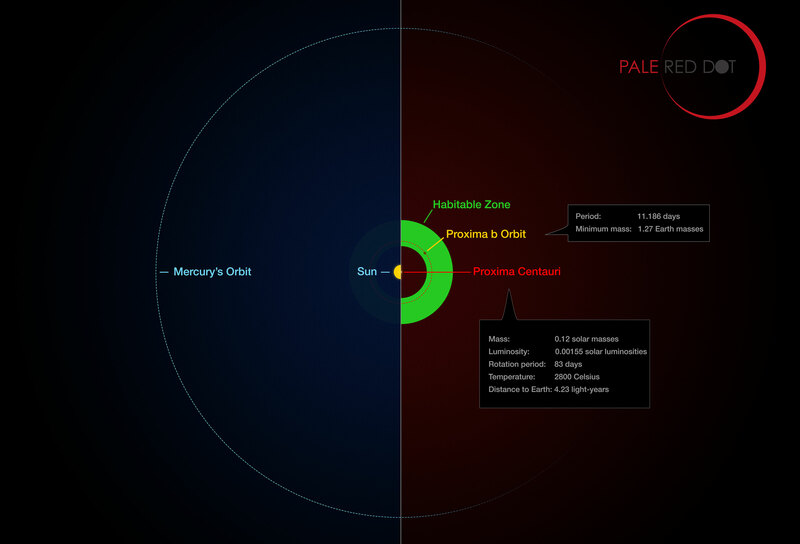 Astronomers using ESO telescopes and other facilities have found clear evidence of a planet orbiting the closest star to Earth, Proxima Centauri. 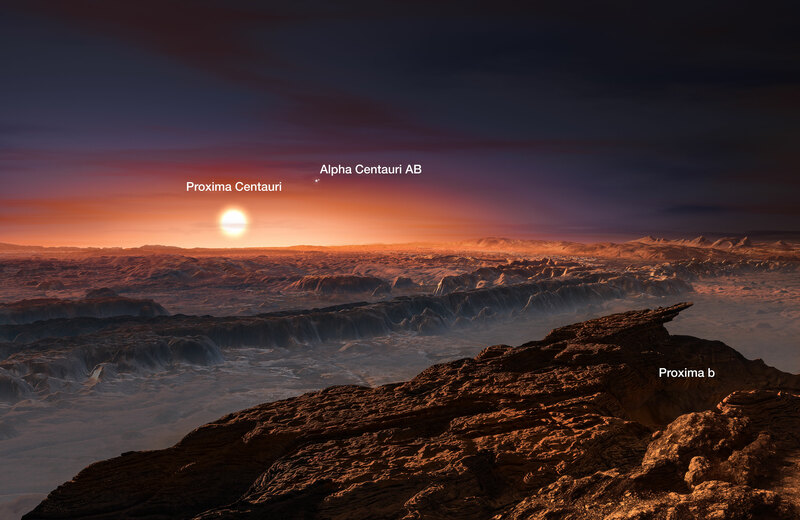 The long-sought world, designated Proxima b, orbits its cool red parent star every 11 days and has a temperature suitable for liquid water to exist on its surface. 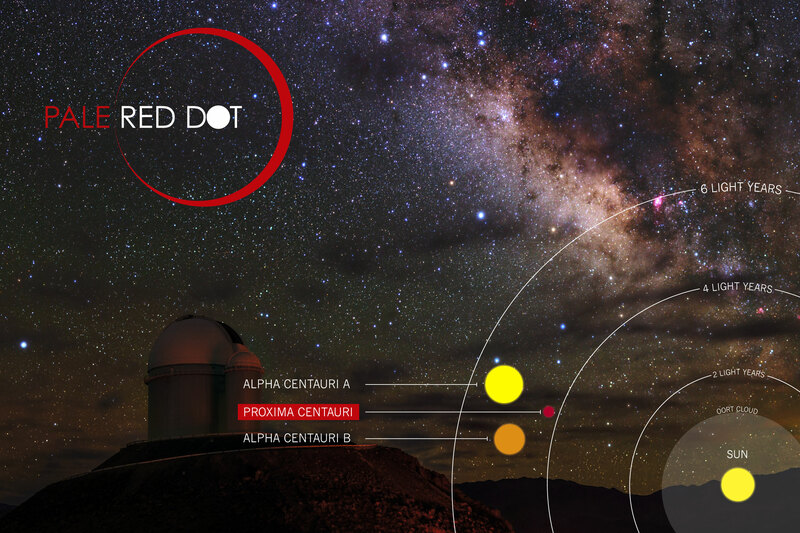 The Pale Red Dot data, when combined with earlier observations made at ESO observatories and elsewhere, revealed the clear signal of a truly exciting result. At times Proxima Centauri is approaching Earth at about 5 kilometres per hour — normal human walking pace — and at times receding at the same speed. This regular pattern of changing radial velocities repeats with a period of 11.2 days. 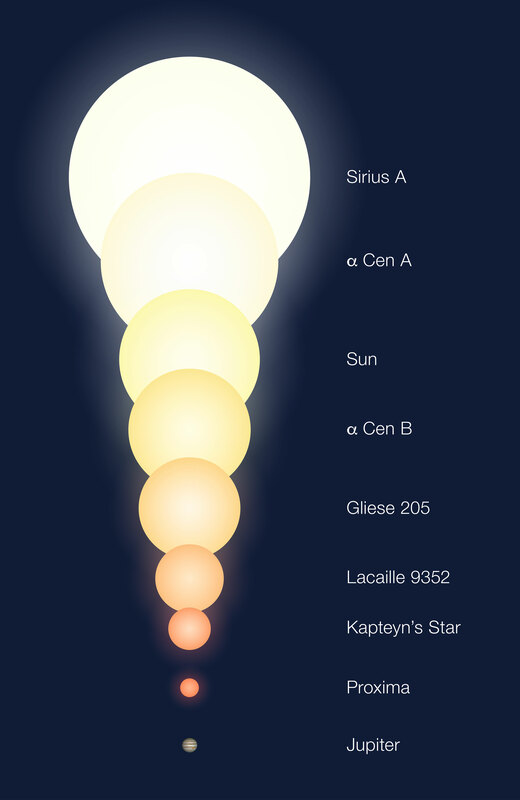 Careful analysis of the resulting tiny Doppler shifts showed that they indicated the presence of a planet with a mass at least 1.3 times that of the Earth, orbiting about 7 million kilometres from Proxima Centauri — only 5% of the Earth-Sun distance.